As the year goes on the need for very early rising is less. Last time I went down to the Purbeck coast I didn't get up until after 04:00hr, it seemed quite relaxed. It was cloudy and drizzling a bit and, needless to say, I had it to myself. As it turned out it wasn't very exciting fishing. 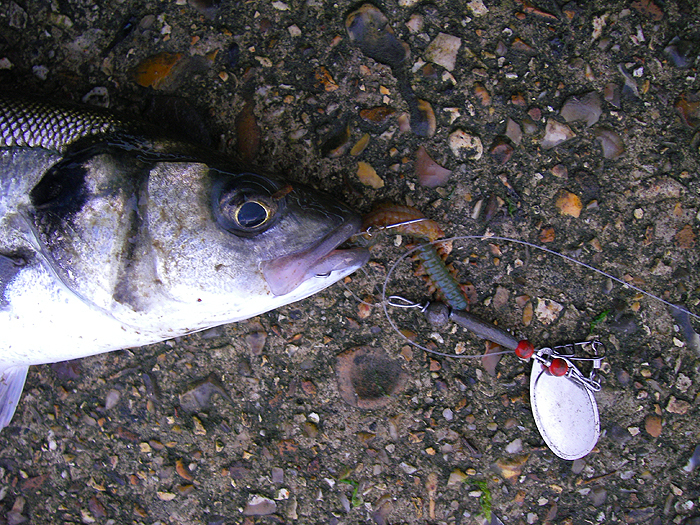 It was flood tide and just after it got light I had a small bass on a weighted Redgill. Two other anglers had joined me by then and when I left I met a third one who later emailed to say that he'd had a nice wrasse on a 'Slug-Gill' type soft plastic. The following morning I had another trip, this time with my pal Phil. 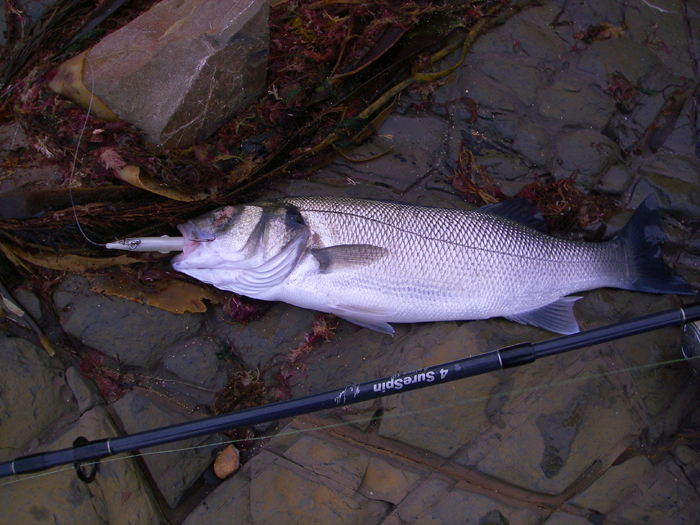 We went to a spot that I hadn't fished for many years to try and catch a thin-lipped mullet on baited spinners. Phil knew of a handy way to get to the spot (it' had been inaccessible to me for some time) and when we got there the tide was ebbing fast. Phil had dug some superb ragworms so we were all set. As it turned out the mullet were not present (at any rate we couldn't catch them) so, apart from a little bass that took my spoon, we blanked. We gave it well over an hour before going for breakfast and thoroughly enjoyed it. 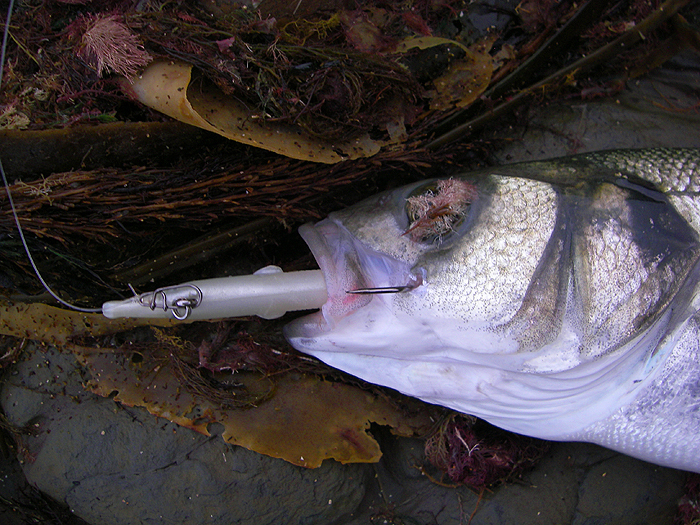 Next time I'm sure we'll catch and I have a few new ideas for baited spinners so that this approach is high on my list of things to do. We wondered how our pals had fared at the other spot. Well, it turned out that they had also had a good session landing eight bass and a couple of mullet. The conditions had been similar to where we fished but it sounded as though the feeding mullet were a little further from the water's edge.